The untimely death of a 30-year-old woman demonstrates the obvious need for more scrutiny of police, not less. The Seattle police showed up at Charleena Lyles’s house after she called in a possible burglary. Law enforcement says that Lyles wielded a knife at them, and in an audio of the shooting released by the Seattle Police Department you can hear officers telling Lyles—who was several months pregnant—to get back several times before several shots ring out. One of the shots killed Lyles; she died inside the apartment. But at a vigil for the 30-year-old mother of four, her family said she suffered from mental-health issues that were going untreated. And evidence suggests that the police might have been aware of that. In the same audio of the incident, one officer can be heard saying, “So this gal, she was the one making all these weird statements about how her and her daughter were going to turn into wolves.” The Seattle Police Department claims that there was an extra safety caution associated with Lyles, who they claim had previously wielded scissors at officers who had been called to her home. But why the police decided to shoot Lyles is unclear. Lyles was “tiny,” her family says. 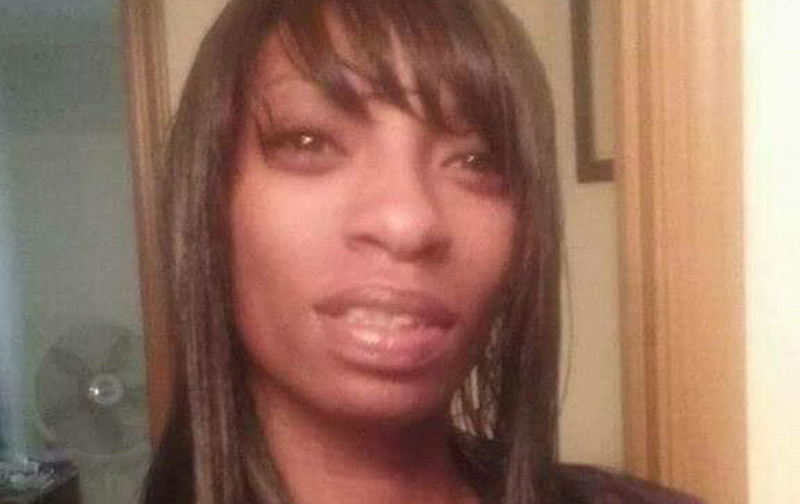 “Why couldn’t they have Tased her?” Lyles’s sister, Monika Williams, told The Seattle Times. “They could have taken her down. I could have taken her down.” According to a statement released by the Seattle Police Department, the police were equipped with “less-lethal force options,” but, apparently, didn’t have Tasers. The department has launched an investigation into the incident and put the officers on administrative leave, but this isn’t the first time the department has been under fire for using deadly force in an interaction with an apparent mentally ill person. The Department of Justice found that “illegal force was most often used against people of color and those who were either mentally or chemically impaired,” The Seattle Times reported. These and other findings about the “routine use of unconstitutional force” triggered a formal agreement, called a consent decree, between the Justice Department and the Seattle Police, in which law enforcement agreed to a wide-ranging overhaul of its tactics and training. This April, five years after the city entered into a consent decree with the DoJ, Merrick Bobb, the monitor tasked with overseeing the effort, released a report assessing its impact and congratulated the Seattle Police Department with a massive turnaround. Seattle Police officers “use less” and “less significant force,” Bobb wrote. “It represents a singular and foundational milestone on [Seattle Police Department’s] road to full and effective compliance—and represents Seattle crystallizing into a model of policing for the 21st century.” But, just two months later, a small, black pregnant woman, who was known to the police as having mental-health issues, has been shot and killed. Does Lyles’s death mean that Bobb’s report is bogus? Not necessarily. Overall, use of force—from baton use to officer-involved shootings—is down. In 2011, the DoJ’s investigation into the department’s use of force found that one officer had used his baton 12 times in 14 months. Bobb’s report found that over 28 months (starting in July 2014 and ending in October 2016) batons were used a total of just 23 times across the force. But a Department of Justice under the direction of Attorney General Jeff Sessions may do its best to limit the impact of consent decrees. Sessions has voiced dismay that the federal government is involved in the 15 police departments and cities currently under consent decree. He has said that consent decrees “reduce the morale of police departments,” making officers and civilians less safe. In April, Sessions ordered a review of all 15 consent decrees across the United States and in its territories, but, according to The New York Times, the DoJ can’t get rid of the agreements without court intervention. The untimely death of a 30-year-old woman demonstrates the obvious need for more scrutiny, not less. Ridding America’s police departments of discrimination—be it racial or against people with mental illness, or some combination of both—cannot happen overnight. But Seattle’s department has at least identified that it has a problem, has at least tried to begin the process of amelioration. It does not mean that the department doesn’t have work to do. It should, rather, have the opportunity to double down on its efforts.